AS sparkling bling goes, it doesn’t get bigger. Australian astronomers have discovered a planet they think is made of diamond. The galactic gem could be as large as 60,000 kilometres across – five times the diameter of Earth. It is orbiting a tiny, dead, spinning star, called a pulsar, about 4000 light years away in the Milky Way. CSIRO astronomer Michael Keith said the diamond planet was likely to be very hot and glowing white. “It would probably look very pretty,” he said. An international team, led by Matthew Bailes of Swinburne University of Technology in Melbourne, found the exotic object using telescopes including the radio telescope at Parkes. They were searching for pulsars – the lighthouses of the universe – which emit beams of radio waves as they spin rapidly. They discovered a pulsar which is only about 20 kilometres across and rotating extremely fast – 175 times every second. 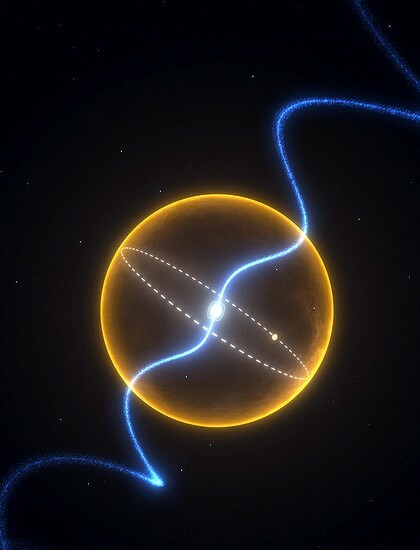 Slight variations in its pulse alerted the astronomers to the presence of the companion planet, which orbits the pulsar every two hours and 10 minutes. Dr Keith said the planet appeared to have been a massive star that lost more than 99 per cent of its mass. Team member Willem van Straten said they hoped the planet was glowing white, because that would make it easier to see light from it using a telescope. The team was searching for millisecond pulsars because they were like accurate “clocks” whose regularity could be used to detect the presence of gravitational waves – theoretical ripples in space time thought to be generated by cosmic events such as two black holes colliding. 'FROZEN SMOKE' IS IT THE LIGHTEST SOLID MATTER ON EARTH? Researchers have created a new aerogel that boasts amazing strength and an incredibly large surface area. Nicknamed ‘frozen smoke’ due to its translucent appearance, aerogels are manufactured materials derived from a gel in which the liquid component of the gel has been replaced with a gas, resulting in a material renowned as the world’s lightest solid material. The new so-called “multiwalled carbon nanotube (MCNT) aerogel” could be used in sensors to detect pollutants and toxic substances, chemical reactors, and electronics components. Although aerogels have been fabricated from silica, metal oxides, polymers, and carbon-based materials and are already used in thermal insulation in windows and buildings, tennis racquets, sponges to clean up oil spills, and other products, few scientists have succeeded in making aerogels from carbon nanotubes. The researchers were able to succeed where so many before them had failed using a wet gel of well-dispersed pristine MWCNTs. After removing the liquid component from the MWCNT wet gel, they were able to create the lightest ever free-standing MWCNT aerogel monolith with a density of 4 mg/cm3. MWCNT aerogels infused with a plastic material are flexible, like a spring that can be stretched thousands of times, and if the nanotubes in a one-ounce cube were unraveled and placed side-to-side and end-to-end, they would carpet three football fields. The MWCNT aerogels are also excellent conductors of electricity, which is what makes them ideal for sensing applications and offers great potential for their use in electronics components. A report describing the process for making MWCNT aerogels and tests to determine their properties appears in ACS Nano. Tiny video cameras mounted on the end of long thin fiber optic cables, commonly known as endoscopes, have proven invaluable to doctors and researchers wishing to peer inside the human body. Endoscopes can be rather pricey, however, and like anything else that gets put inside peoples’ bodies, need to be sanitized after each use. A newly-developed type of endoscope is claimed to address those drawbacks by being so inexpensive to produce that it can be thrown away after each use. Not only that, but it also features what is likely the world’s smallest complete video camera, which is just one cubic millimeter in size. The prototype endoscope was designed at Germany’s Fraunhofer Institute for Reliability and Microintegration, in collaboration with Awaiba GmbH and the Fraunhofer Institute for Applied Optics and Precision Engineering. Ordinarily, digital video cameras consist of a lens, a sensor, and electrical contacts that relay the data from the sensor. Up to 28,000 sensors are cut out from a silicon disc known as a wafer, after which each one must be individually wired up with contacts and mounted to a lens. In Fraunhofer’s system, contacts are added to one side of the sensor wafer while it’s still all in one piece. That wafer can then be joined face-to-face with a lens wafer, after which complete grain-of-salt-sized cameras can be cut out from the two joined wafers. Not only is this approach reportedly much more cost-effective, but it also allows the cameras to be smaller and more self-contained – usually, endoscopic cameras consist of a lens at one end of the cable, with a sensor at the other. The new camera has a resolution of 62,500 pixels, and it transmits its images via an electrical cable, as opposed to an optical fiber. Its creators believe it could be used not only in medicine, but also in fields such as automotive design, where it could act as an aerodynamic replacement for side mirrors, or be used to monitor drivers for signs of fatigue. They hope to bring the device to market next year. Medigus has developed the world’s smallest video camera at just 0.039-inches (0.99 mm) in diameter. The Israeli company’s second-gen model (a 1.2 mm / 0.047-inch diameter camera was unveiled in 2009) has a dedicated 0.66×0.66 mm CMOS sensor from TowerJazz that captures images at 45K resolution (approximately 220 x 220 pixels) and no, it’s not destined for use in tiny mobile phones or covert surveillance devices, instead the camera is designed for medical endoscopic procedures in hard to reach regions of the human anatomy. The miniature cameras are made with bio-compatible compnents and are suitable for diagnostic and surgical procedures. Potential applications include cardiology, bronchoscopy, gastroenterology, gynecology, and orthopedic and robotic surgery. “Medical procedures that have not been possible until now become possible with the world’s smallest camera,” said Dr. Elazar Sonnenschein, CEO for Medigus Ltd. The camera will be integrated into Medigus’ own disposable endoscopic devices as well as sold to third-party manufacturers. Medigus says it will begin supplying camera samples to US and Japanese manufacturers in coming weeks. It’s hard to say whether this sort of product will unleash a stream of creativity or a gushing torrent of poor taste. Dutch printing company ixxi has come up with an innovative, inexpensive and very nifty way to print and hang large scale artworks. By breaking the photo or design up into lots of smaller cards, which are later joined together for presentation using funky little plastic x and i shaped connectors, ixxi avoids the prohibitive expense of larger scale printing, as well as making it easy to package a wall-sized piece of art up into a small box. In fact, the same technology lets you visit an art gallery, and take a life size, photorealistic replica of your favorite wall fresco home with you, ready to reassemble and hang. Just quietly, dear readers, I occasionally fancy myself as a bit of a photographer. 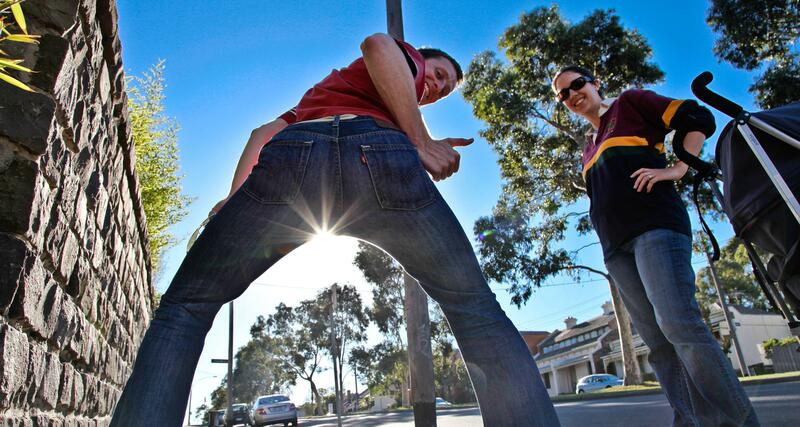 In fact, just last week I pulled out a bunch of my favorite snaps (including this one, which really nails the spirit of a mate and his wife) and got them printed on big 100 x 50 cm (39 x 19.7 in) canvas boards to hang on walls around the house. Canvas prints and photo prints look great, but they’re fairly expensive – a problem that gets exponentially bigger with size. So on a reasonable budget, you might be able to get a couple of boards printed, but you’re up for quite a lot of money if you want to create a whole feature wall. That’s where ixxi comes in – this Dutch company has created a very simple, classy system that lets you print any number of smallish cards, on a variety of media, then join them together to form larger artworks using i and x shaped connectors. That lets you break a photograph up into 50 smaller squares and present it on a large scale … or, you can experiment with the form, creating photomosaics or even pixel art. Once the cards are linked together, you can choose to hang them on a wall, or even dangle them from a roof to make a bespoke room divider or temporary wall. That looks even cooler when you use semi-translucent card material to print on, like they have in the Design Academy Eindhoven – see below. The results are impressive enough that if you visit the Rijkmuseum Amsterdam, you can buy a number of the museum’s famous artworks in ixxi format – and take them home with you in a small gift box, full size and ready to assemble. The best part is the price – because you’re only printing on small squares, generally below A4 size, the printing process is uncomplicated and inexpensive … to the point where a gigantic 2 x 2 meter (6.6 x 6.6 foot) print with whatever you want on it comes out at a measly EUR 125.00 – or just US$178 for a mega print that will transform an entire wall in your house. Try pricing one of those up on canvas … and heck, try transporting the thing! Now, if I could only learn to take a photo or create a pixel artwork worthy of that kind of presentation! More at the ixxi website. Home beer-brewing is sort of like writing a novel – although you might like the idea of having done it, the thought of all the work involved in doing it can be off-putting. If the PR materials are to be believed, however, the WilliamsWarn brewing machine could make the process a lot easier … and quicker. Unlike the four weeks required by most home brewing systems, it can reportedly produce beer in just seven days. The WilliamsWarn was created by New Zealand “beer-thinkers” Ian Williams and Anders Warn, and was released in that country this April. The duo claim that it addresses 12 of the key challenges thwarting many home brewers, including the carbonation process, temperature control, and clarification. Kind of like a Mr. Coffee (perhaps they should have called it “Mr. Beer”), the machine reportedly incorporates all the hardware needed for brewing. This includes a stainless steel pressure vessel with carbonation level control, and systems to control factors such as clarification, sediment removal, temperature, and gas dispensation. Last, but certainly not least, it also features a draft dispense mechanism, for pouring out a glass of the chilled “commercial quality” finished product. Users spend about 90 minutes cleaning and sterilizing the system, and adding supplied ingredients at the beginning of the process. After that, minimal input is required until a week later, at which point 23 liters (6 U.S. gallons) of beer should be ready for drinking. Part of the reason that it’s able to make beer so quickly is the fact that the carbonation and fermentation processes take place simultaneously. The clarification process is also said to take no more than one day. The WilliamsWarn brewing machine is currently only available in New Zealand, although its makers hope to expand to the Australian and American markets soon. It sells for NZ$5,660 (US$4,577), plus NZ$39.50 (US$32) for the ingredients for each batch of beer.